Computes the real Laplace transform of a sequence. The array describing the evenly sampled time signal. The first element of this array belongs to t = 0, the last to t = end. The instant in time of the last sample. 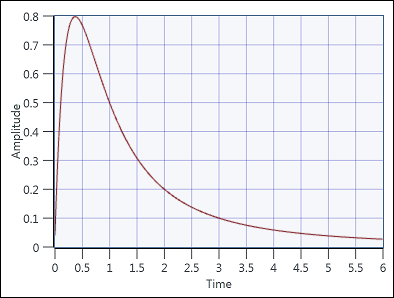 The entire sample interval is between 0 and end. The result of the Laplace transform as an array. for real s ≥ 0 . The discrete version of the Laplace transform of a discretely and evenly-sampled signal is a generation of the above continuous version. The definition of the Laplace transform is not of much use if the time signal increases rapidly with the time. The discrete version of the Laplace transform cannot fully detect the convergence behavior of the original definition. with an arbitrarily chosen complex alpha. The following image shows the real Laplace transform of the function f ( t ) = sin ( t ) in the interval (0, 6).